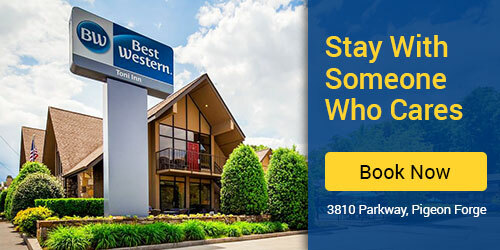 Regardless of what brings you and your family to Pigeon Forge, you’ll likely find that checking in at the Best Western Toni Inn puts you close to the heart of the action: Here you’ll be just one mile from Dollywood and just half a mile from the Old Mill! Check in at this centrally located Smoky Mountain hotel makes it easy to get around and experience the best of what makes East Tennessee so magical! This award-winning hotel features many homey amenities, ranging from a poolside hot tub for unmatched relaxation to free continental breakfast to help you start your day. Enjoy free Wi-Fi in public areas, free local calls, indoor and outdoor pools and much more to make your stay comfortable and fun for the entire family.